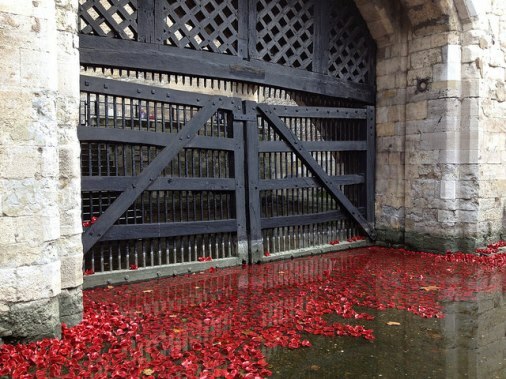 In July this year, during the annual TDP fieldwork and events at the Tower Beach I photographed some of the very first poppies which had been installed in the Tower of London moat, and since then I’ve been watching, and in October, participated in, this extraordinary collective commemorative project. 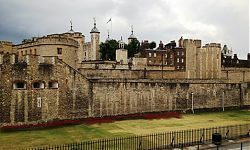 Like many people, I have a family connection with the events of World War I: my great, great Aunt – the inimitable Mimi – was engaged to an English soldier who was gravely wounded at Gallipoli. His injuries meant that while he survived the war, he was unable to emigrate to Australia as he had planned to, and as far as I know, they never saw each other again. 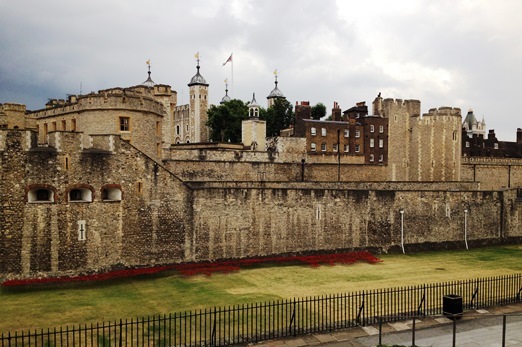 As one of the bloodiest places in London, the site chosen for the installation of this artwork is a fitting location for this memorial to those hundreds of thousands who met their end during a terrible conflict. 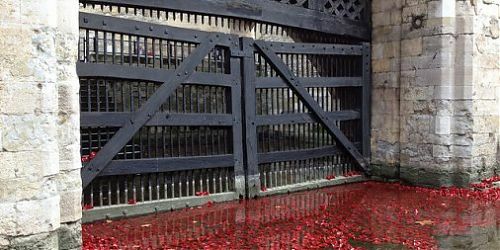 The poppies placed directly on the foreshore in front of the Traitors Gate had a particular meaning for me – linking the outside world with the interior of the Tower, where so many have suffered humiliation, torture and execution. While we reflect on the Great War, it behoves us also to remember both the events of a more distant past, and contemporary conflicts across the globe.